Once the Headland and sand dunes were completed, it was time to draft the design for the beach and ocean. 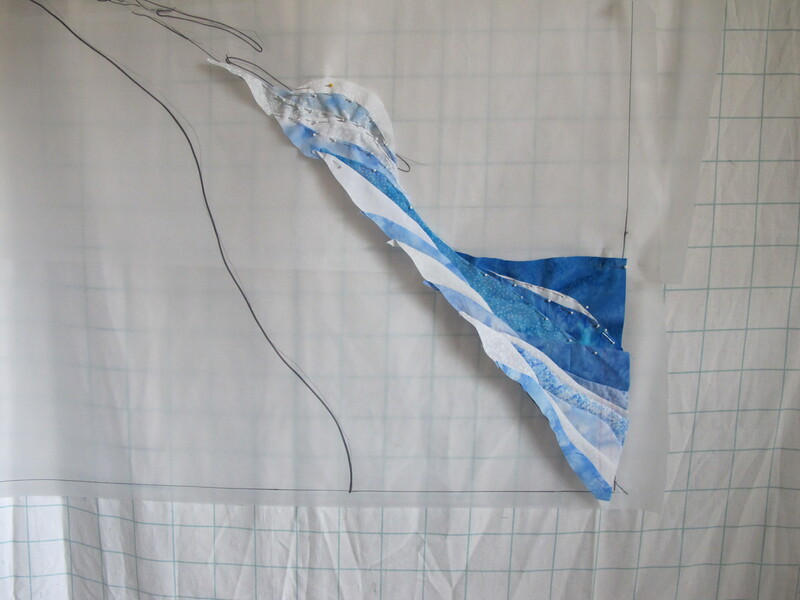 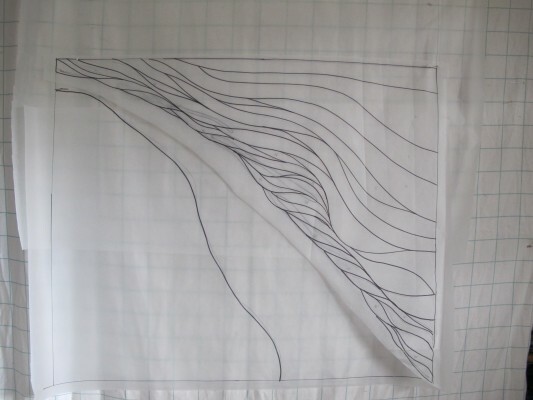 I drew the curved lines for the ocean surf on tracing paper laid under the pieced sections of the Tillamook Head and the grass and sand dunes. 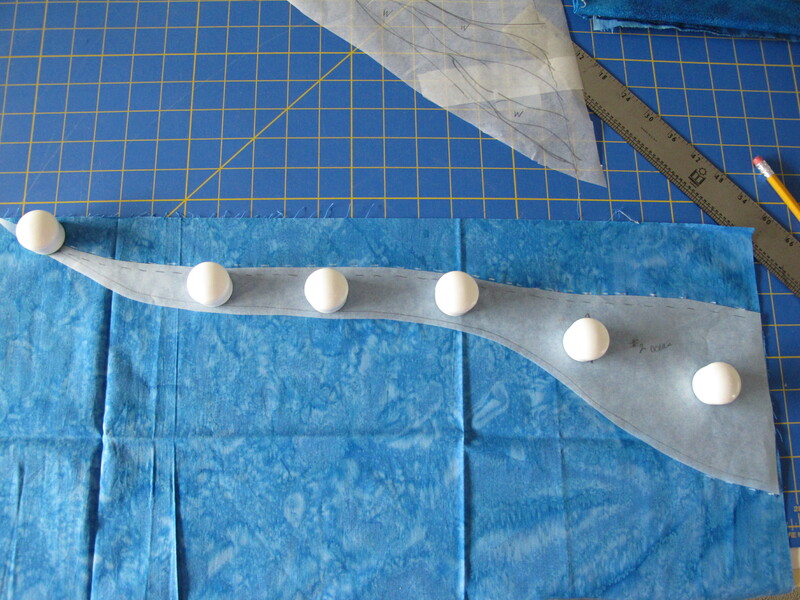 The final ocean design was then drawn so that templates could be created for the pattern pieces. 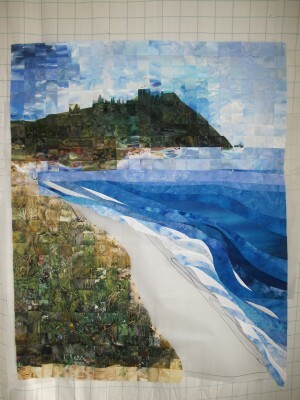 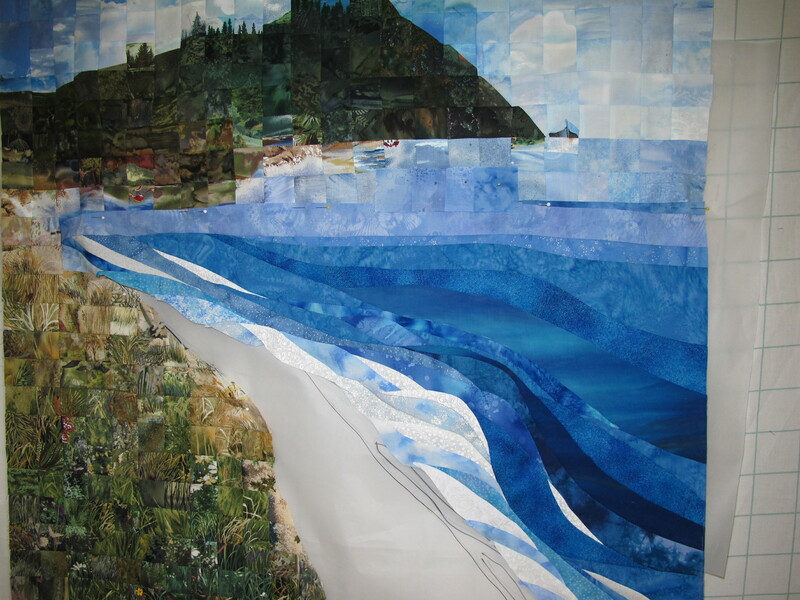 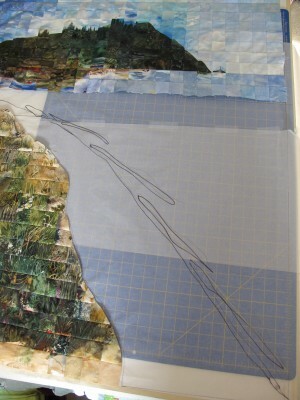 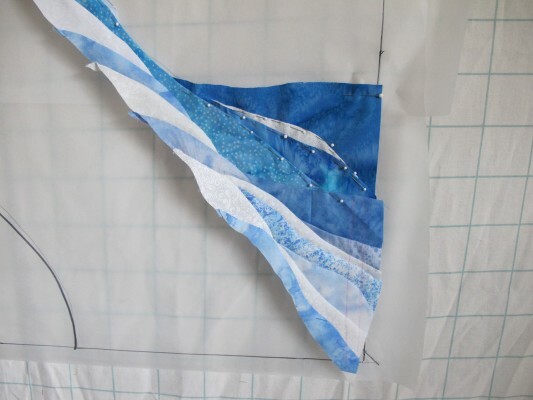 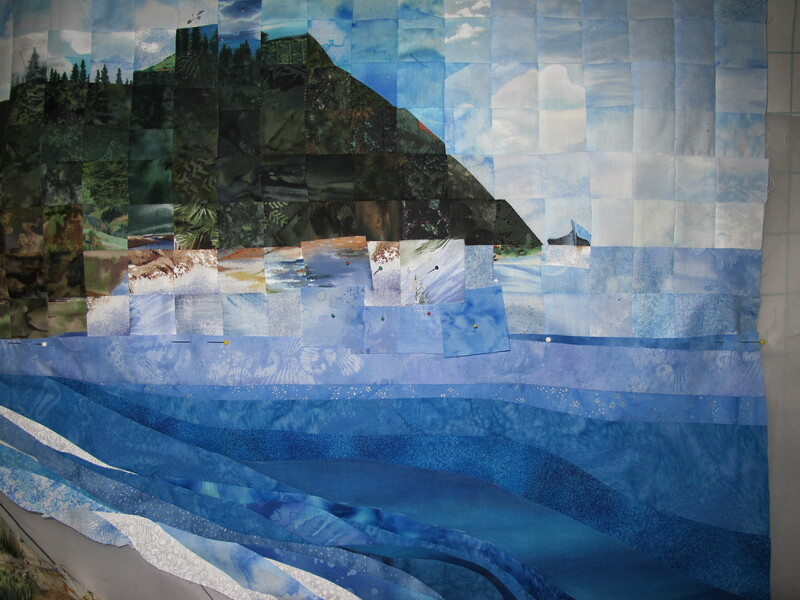 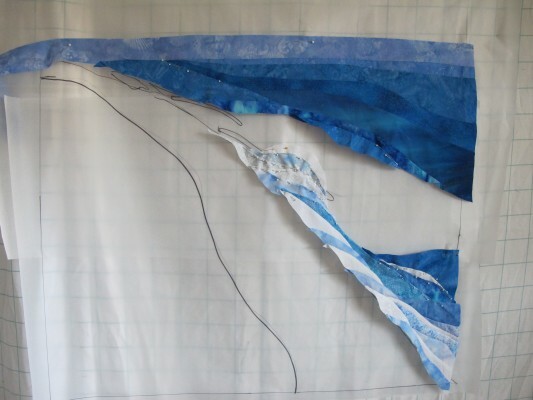 Thus began the slow process of choosing the right blues and whites, drafting the pattern pieces, cutting the fabric and proceeding to piece the ocean together from the lower right corner upward toward the land.